Twenty-five species of monkeys, langurs, lemurs and gorillas are on the brink of extinction, according to wildlife researchers, and need to be protected by from deforestation and more importantly illegal trafficking. A report released by the International Union for Conservation of Nature pointed out that six of the severely threatened species live in the island nation of Madagascar, off southeast Africa, five more are from mainland Africa, five from South America and nine species live in Asia. Rediff.com takes a look at some of these endangered primates, said to be mankind's closest relatives. 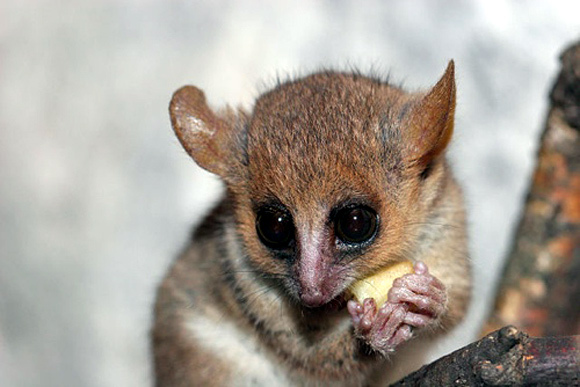 The distinctive and tiny Rondo galago is unique for its bottle-brush tail and is found in coastal Tanzania. It lives in an area reported in 2012 to be less than 100 square kilometres and is threatened by habitat loss due to logging. 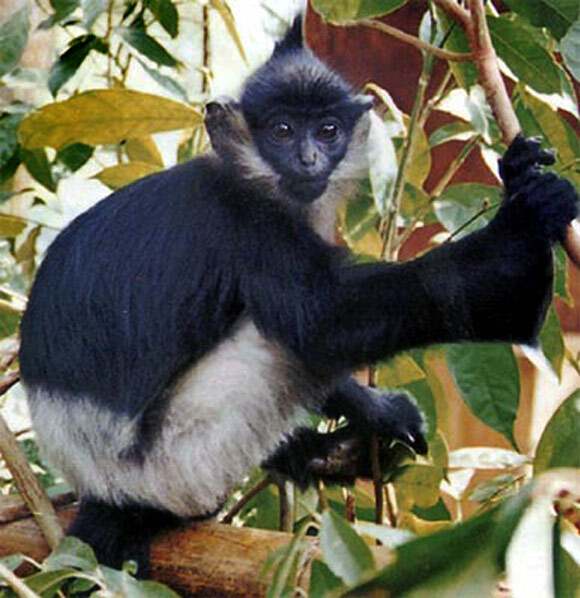 Bioko red colobus is found in a restricted range on the island of Bioko, Equatorial Guinea, in Africa. 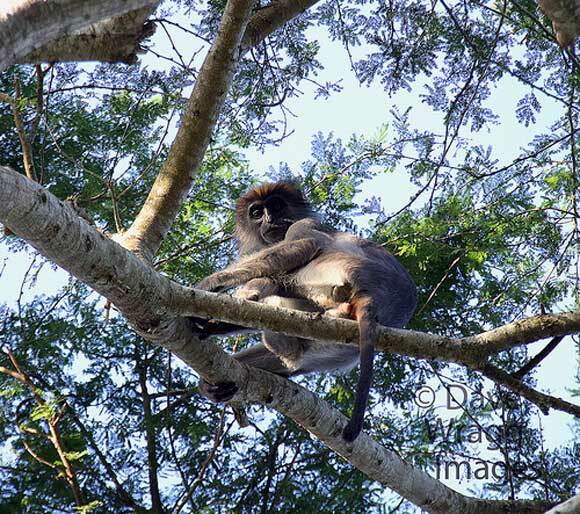 The report says that there are less than 5,000 red colobus monkeys surviving today. They are found only on the levees of the lower Tana River in Kenya. Their estimated population today is at 1,100𔂿,300. Grauer's gorilla, also known as the eastern lowland gorilla, lives exclusively in eastern Democratic Republic of Congo. Gorillas are the largest primates in the world, and Grauer's is the largest of the four gorilla types. Grauer's gorilla is listed as endangered on IUCN's Red List and may now number fewer than 8,000. 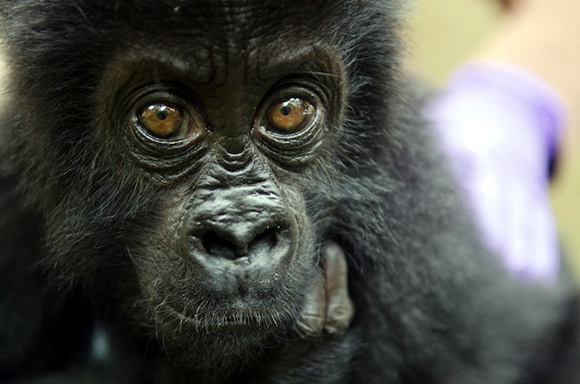 In 1995, the overall population of Grauer's gorillas was estimated at 17,000 animals. Madame Berthe's mouse lemur is the world's smallest primate, at less than 100mm long and weighing only 30g, found in Madagascar. This lemur is named after the conservationist Madame Berthe Rakotosamimanana of Madagascar, the secretary general of the Groupe d'Etudes et de Recherche des Primates from its founding until her death in 2005. The estimated population of this species is 8,000. 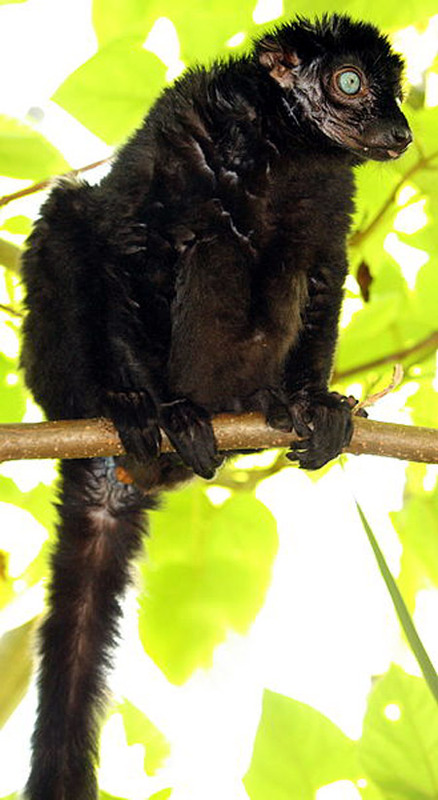 The blue-eyed black lemur is found only in a small region of the island of Madagascar, where they live in subtropical moist and dry forests. Unlike most primates, the males and females are different colours. Males are completely black, while females are a reddish-brown or blond color. Both sexes have blue or blue-grey eyes. Their estimated population is anywhere between 2,780䃄,950. 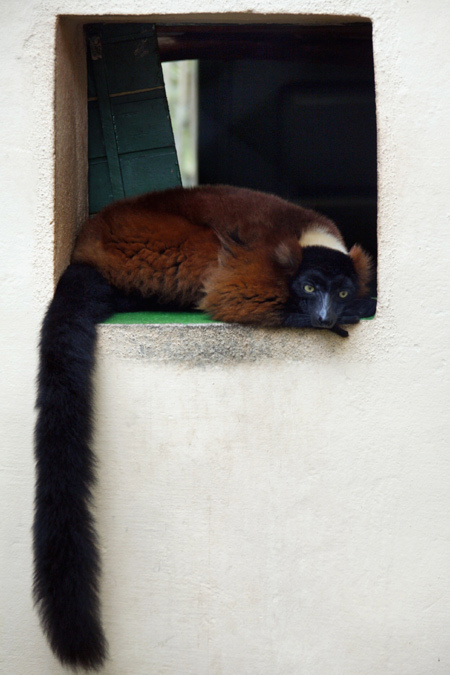 The red ruffed lemur is the native of Madagascar and is found only in the rainforests of Masoala, in the northeast of the island. It is one of the largest primates of Madagascar with a body length of 53 cm, a tail length of 60 cm and a weight of 3.3-3.6 kg. They have been classified as critically endangered since they have a limited geographic distribution and none of their habitat is protected. This lemur is strictly limited to a few small patches of the dry forest in extreme northeastern Madagascar, just to the south of Antsiranana on the east coast. 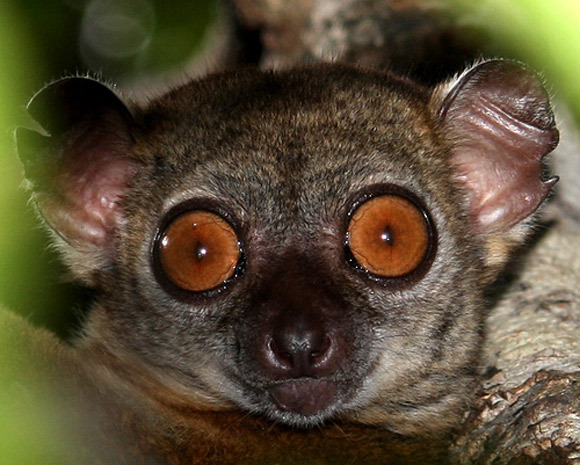 The northern sportive lemur is Madagascar's rarest lemur with its population down to just 19 animals in the wild. 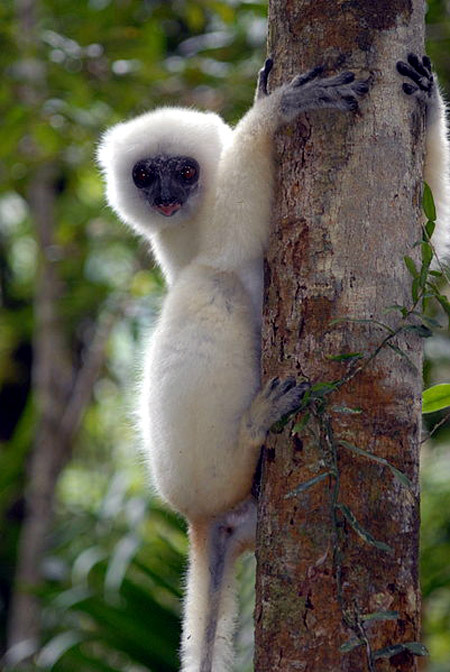 The silky sifaka is a large lemur characterised by its long, silky white fur. It has a very restricted range in northeastern Madagascar. Its population has been reduced to a mere 250 or even less. 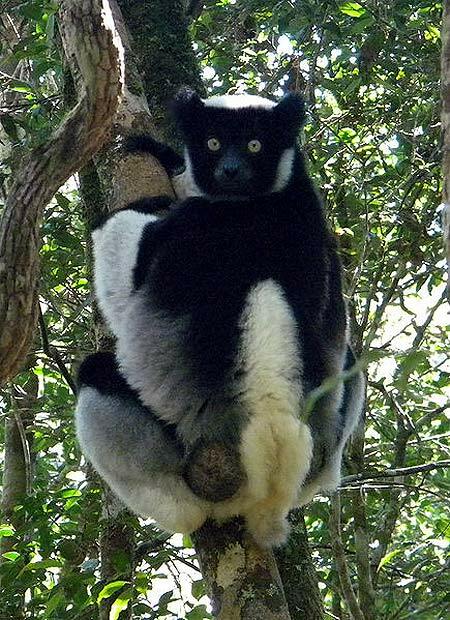 The indri, also called the babakoto, is one of the largest living lemurs. It inhabits the lowland and montane forests along the eastern coast of Madagascar. While no exact estimate available on the population of the indri, the International Union for Conservation of Nature report says that it has reduced by 50 per cent in the last 36 years. 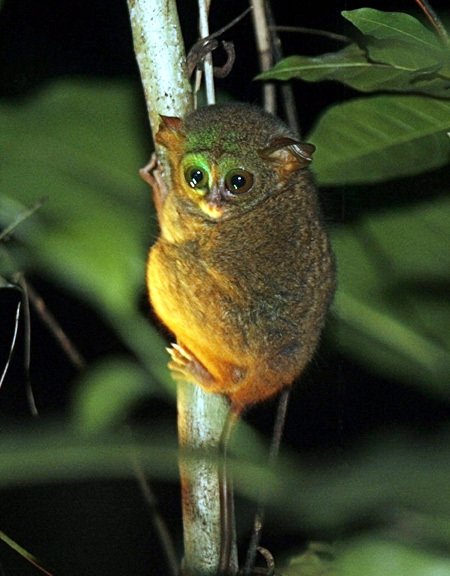 Indonesia's pygmy tarsier is clinging on in the wild, according to the report. 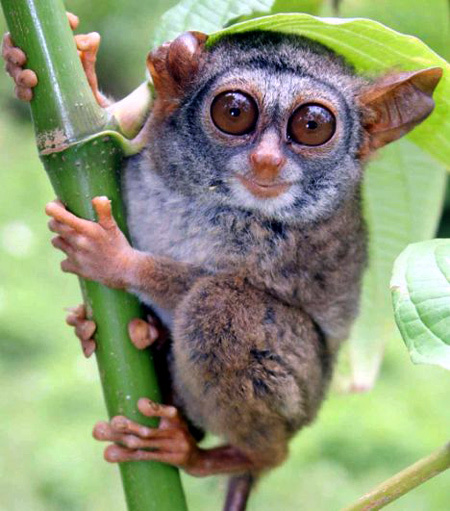 The pygmy tarsier was thought to be extinct until 2000, when one stumbled into a rat trap in central Sulawesi, Indonesia. In 2008, researchers confirmed the continued existence of the species by trapping three with nets and observing a fourth. This primate is found in Western and central Java, Indonesia. 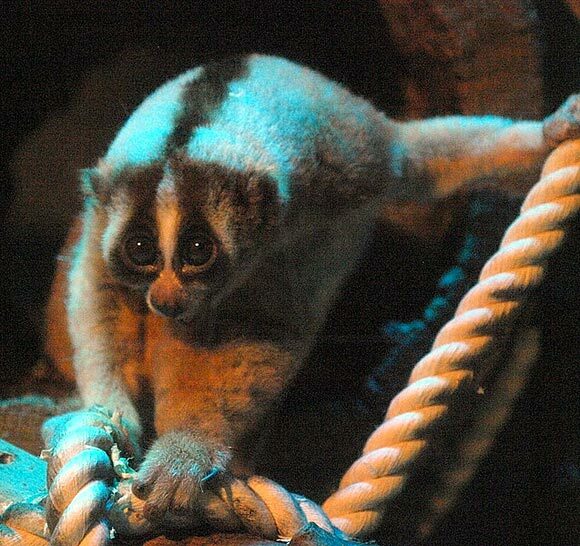 The Javan slow loris population is in sharp decline because of poaching for the exotic pet trade. It is also used in research associated with traditional medicine. However, its population is unknown. 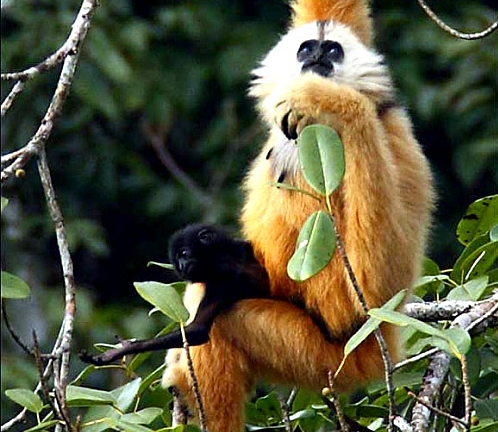 The Delacour's langur is a critically endangered species endemic to Vietnam. The population of Delacour's langurs has declined rapidly in recent years. As of 2008, less than 250 animals were believed to remain in the wild, with 19 in captivity. It is confined to the island of Cat Ba in the Gulf of Tonkin, northeastern Vietnam. 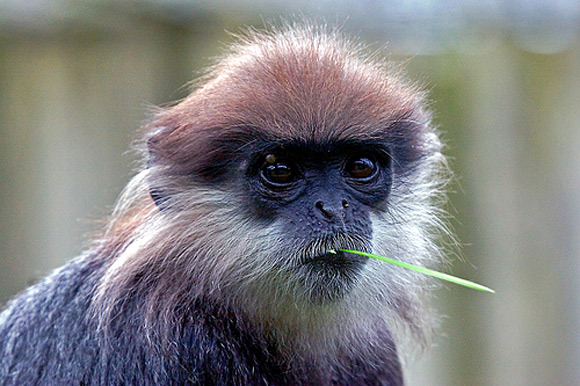 The current population of the langur is anywhere between 60 to 70 individuals. The Western purple-faced langur inhabits the lowland tropical rainforest of Sri Lanka. Since 2004, it has been considered to be critically endangered by the International Union for Conservation of Nature due to an 80 per cent decline in population over the previous 36 years. 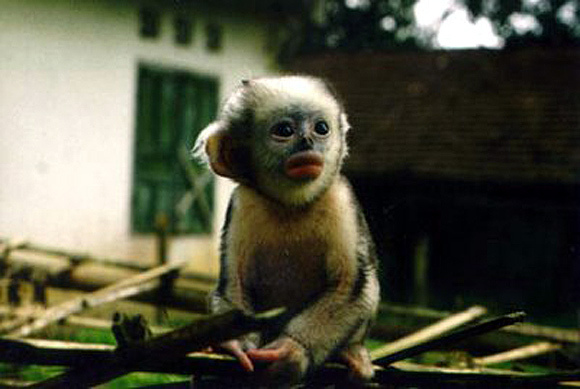 This monkey is mostly found in primary mountain evergreen forests of central Vietnam. There are around 600 to 700 individuals found in the provinces of Quang Nam, Quang Ngai, Kon Tum, Gia Lai, and Binh Dinh. Hunting has been a major problem for gray-shanked doucs. They are hunted for bush meat and for traditional medicine purposes. The Vietnam War also played a big part in reducing the population. Soldiers would use the monkeys for target practice. 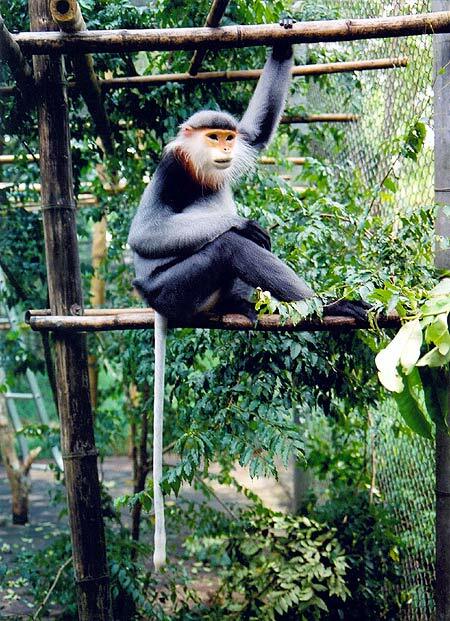 This primate is native to northeastern Vietnam. By 2008, when a small population with three infants was discovered in a remote forest, fewer than 250 of the primates were thought to exist. The latest report says that there are a little more that 250 surviving Tonkin snub-nosed monkeys. 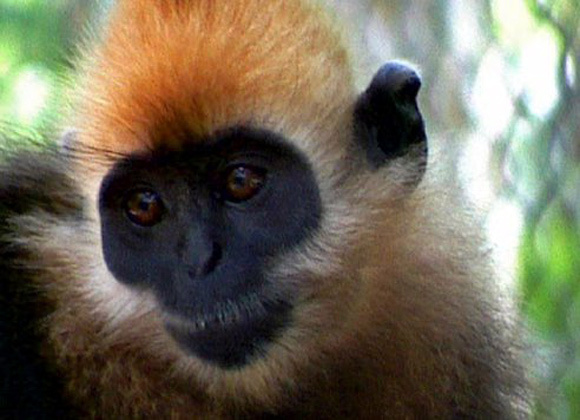 This species of gibbon is from southeast China and north Vietnam. Their total population estimated at 110 individuals living in 18 groups. 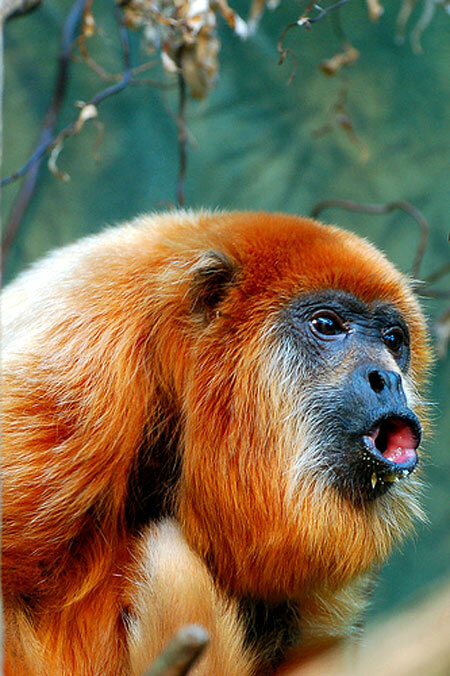 The northern brown howler monkey is a native to Brazil. It is listed as critically endangered, with fewer than 250 individuals restricted to vicinity of the Jequitinhonha River. 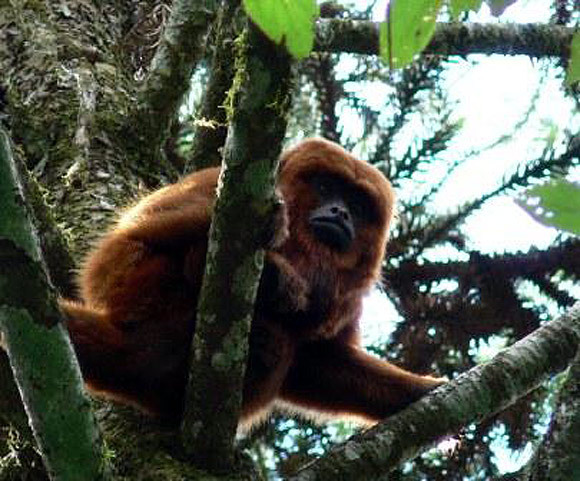 This primate is from northern Colombia and northwestern Venezuela. 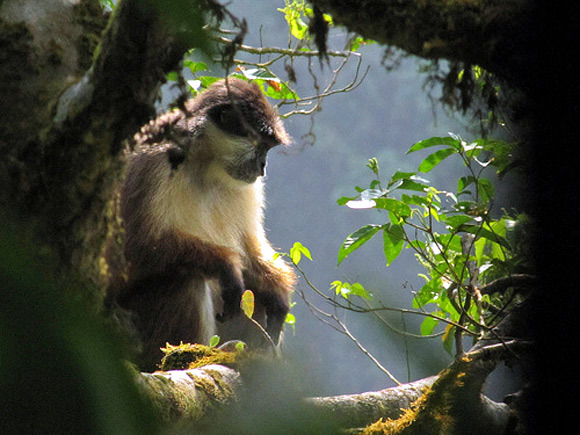 The brown spider monkey is now a highly threatened species, the population is estimated to have decreased by at least 80 per cent and some populations have already been extirpated. 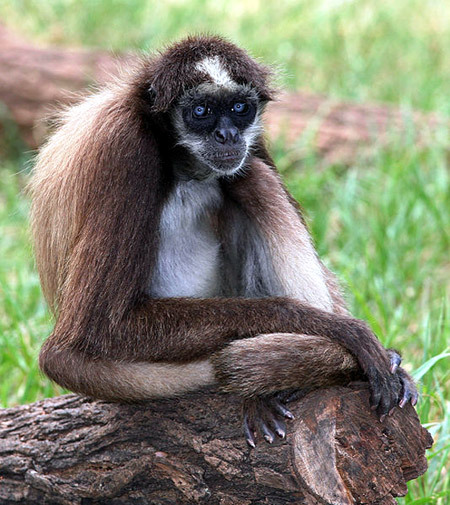 Almost 60 brown spider monkeys are present in various zoos, mostly in Europe. It is found in the upper Rio Mayo Valley, extending to the south into the Bajo Mayo and Huallaga central, Peru. There has been an 80 per cent decline in the population of this species over the last 25 per cent thought the exact figures were not available.